Boston Consulting Group uses i-MO to get teams online quickly. 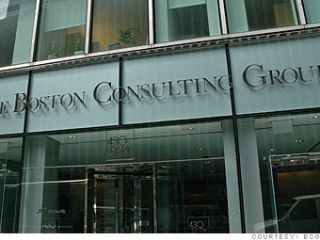 The Boston Consulting Group (BCG) is a global management consulting firm with 81 offices in 45 countries. It is one of the Big Three management consulting firms. The firm advises clients in the private, public, and not-for-profit sectors around the world, including more than two-thirds of the Fortune 500. Considered one of the most prestigious management consulting firms, BCG was ranked second in Fortune’s “100 Best Companies to Work For” in 2015. With consulting teams being deployed all over the country requiring super-fast, immediate broadband connectivity and not always being able to use client infrastructure, i-MO distributor 4Gon Solutions once again recommended i-MO devices for bonding cellular connections together to obtain great, secure throughput without the need to piggy back on other systems and thereby being completely independent. “The i-MO devices have numerous sweet spots from no available connectivity, remote mobile users, high availability/disaster recovery solutions through to quick set up high speed broadband requirements. Compared to the rest of this market place i-MO delivers high-speed connectivity, high quality manufacturing and very competitive pricing.